When we think of electric cars, it is very often from the perspective of zero emissions or environmentally friendly technology. We also often tend to think in terms of limited range and performance. However, this is becoming less true with each passing year. The fastest car in the world from 0-60mph (0-97km/h) is not an exotic supercar but a 100% electric racing car built by university students, such as the AMZ (Academic Motorsports Club Zurich – comprising students from ETH Zurich and the Lucerne University of Applied Sciences and Arts), which achieved a startling time of 1.513 seconds to achieve 60mph. To put this into perspective, the famous Bugatti Veyron can manage the same in around 2.5 seconds. Tesla has changed the perception of the electric car with its high-performance vehicles that are also able to achieve effective ranges of more than 300 miles (483km). As we can see with the performance figures above, and considering how the use of KERS in F1 has provided drivers with a boost button, electric motors are incredibly light, efficient and powerful. 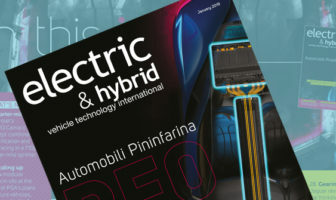 In the short and medium term, there is a clear stepping stone via the use of hybrid propulsion systems that can take advantage of clean and emission-free urban motoring and longer-range ICE extra-urban journeys. This is an effective and sensible approach in this period of transition from ICE to future propulsion systems that are primarily electric. Hybrid cars seem to offer a low-emission approach – but what are the issues with moving to ultra- or even zero-emission cars in the future, and why are they so much more expensive? If we break down the technology inside an EV, we can quickly see where some of the issues arise, and where the problems might lie. Where does this leave us now in the real world of the general public? Clearly the technology to achieve high performance is here and now, and it seems that battery technology is improving rapidly to provide more range than was previously possible. However, there is still hesitation to adopt these new electric cars in the numbers that will make a real impact on the level of carbon emissions; so what is the stumbling block? In most cases, it is quite simple – cost. Owning a Tesla sounds great, but is too expensive for most of us. It is worth remembering that the electric car pre-dates the ICE-powered car, so we could legitimately ask the question why it has taken so long to produce a vehicle that makes sense financially as well as from a performance perspective? Modern motors (such as brushless DC motors – ‘BLDC’) can provide an excellent power-to-weight ratio and do not require any maintenance. This contrasts with older brushed motors, (such as the kind you might see on an electric train set) where carbon brushes needed to be replaced periodically. EVs do not require a gearbox and integrate seamlessly into a modern car’s electrical system. They are also very simple to produce. There is one detail that is a potential problem: the scarcity of rare earth materials, specifically neodymium which is used in permanent magnets and BLDC motors. If the world changes over from internal combustion to electric motors, this will require hundreds of millions of these BLDC motors to be manufactured. Neodymium is not intrinsically rare; however it is difficult and expensive to mine and isolate, therefore there is a risk that, as the evolution of EVs gathers pace, this could become an issue. Alternative options such as the switched reluctance motor (SRM) do not require these materials, but are more ideally suited to high-speed motors rather than the relatively slow speeds of automotive propulsion. Nevertheless, it is fair to say that the electric motor itself is well understood, economic and efficient as a prime mover for cars. The other main difference between a conventional ICE vehicle and most electric vehicles is the fuel storage system. In a combustion system (such as petrol or diesel engines) a significant advantage is that the fuel needs to be mixed in relatively low densities with air, which can be obtained directly from the atmosphere. This air/fuel (or stoichiometric) ratio is about 14.5:1 for petrol and 14.7:1 for diesel engines. In contrast, in an EV, all of the fuel (the electricity) needs to be stored in a battery. The resulting energy density for most electric vehicles is therefore much lower. An exception to this is the FCEV, which uses liquid hydrogen as the fuel source. This can be combined with oxygen from the atmosphere and filled in a very similar manner to current ICE cars. One drawback with this approach is that most countries lack the suitable hydrogen infrastructure. While this is a debatable point (if you build it, will they come? ), the cost of producing hydrogen is also high, and requires significant energy to extract and store. The reality of both carbon costs and lower efficiency (compared with battery power electric vehicles) mitigates against hydrogen for the mass market consumer vehicles of the future. The issue for all EVs now is the significant additional cost of a large enough battery pack to provide a realistic range for the driver. Right now, the premium price of electric vehicles can be traced back to the additional cost required for the battery pack. What about safety? Lithium-ion batteries have a history of very high energy density compared with other battery technologies, however there have been unfortunate incidents with batteries catching fire. This has happened in consumer products and in some EVs. Does this make EVs more dangerous than ICE? I don’t believe so. Car manufacturers are building battery packs with carefully monitored thermal measurements inside and controlling the charge and discharge rates to maintain them within safe limits. In fact, there have been very few incidents involving EVs. To put this in perspective, the National Fire Protection Association in the USA reported 174,000 car fires in 2015, and data from the UK home office in 2018 reported just over 11,000 vehicle fires in 2017. Although the absolute number of EVs on the roads is still small (still less than 2% of new vehicle registrations in the UK, for example) there is no evidence that EVs are more likely to catch fire. CNN reported in 2018 that, for the same mileage, the chance of a car fire was significantly higher for a petrol car than for an EV. It is probably still too early to make any categorical statements about the relative safety of EV batteries; however, when an EV catches fire it makes the news, due to the novelty of the technology. Petrol is dangerous and highly flammable, even more so in vapor form, as is diesel – however, we have become used to the precautions that we take in filling stations, for example. Battery technology is continuing to evolve, and new materials with solid-state technology offer a future of very safe battery technology with almost no risk of fire. As with any new technology, the pace of research and development is incredibly rapid, and the prospects for radically improved battery technology are very good indeed. Charging infrastructure is expanding rapidly, and it is becoming normal to see electric vehicle charging points on major routes, and across towns and cities. Charging and energy conversion are other areas that have seen major improvements in a short period, with rapid charging becoming possible with modern power electronics devices (such as silicon carbide) able to tolerate much higher currents and short-term temperatures to provide the power converters to charge the battery packs and drive the motor more efficiently. Advanced control methodologies are also providing higher efficiency of operation for both motor drives and chargers. Fast charging is not limited by the power electronics, but rather the thermal limits of current battery technology. The higher the current, the higher the temperature in the battery, which for current Li-ion technology, cannot be exceeded without the risk of damage to the individual cells in the pack. In many respects, the future of electric vehicles looks very strong, and the obstacles to wider adoption are receding rapidly. The beauty of the electric vehicles of the future is their relative simplicity, with much simpler and more compact propulsion systems than conventional ICE cars. The key limitation, from a technical and commercial perspective, remains the cost of the battery pack – however, as this technology continues to improve, the cost will reduce. While this reduction has been dramatic in the last decade, it is predicted that, with the growth of the Chinese automotive industry, this will be tempered by a major increase in demand for batteries – as a result, there could be a world supply shortage. The UK government’s Business, Energy and Industrial Strategy Committee 2018 report (Electric vehicles: driving the transition) highlights this point and predicts a continuing reduction in Li-ion cell price – but at a much reduced rate. Looking ahead a decade from now, it is reasonable to predict that the energy density and cost will have progressed to a point where the range of a typical electric vehicle will be consistent with that of an ICE-based vehicle, and the return on investment time will be short enough to justify the premium of acquiring an electric vehicle. Looking to the future, one aspect of the automotive industry that will require a major adjustment is the maintenance and warranty support for customers, automotive companies and retailers. Training will be an essential part of this for mechanics and dealers, to ensure that vehicles are maintained safely and correctly, and warranty repairs on battery packs will require specialist skills and tools. Finally, with an ever-widening charging network, and reduced charging times, using electric vehicles for a wider range of journeys (beyond the existing sweet spot of shorter, usually urban journeys) is becoming a realistic option for more and more motorists. The variety of vehicles – from compact supermini EVs to high-performance sports cars – provides the motorist with a wide choice to suit almost every requirement.